You dare challenge (Man Made) Global Warming with scientific debate? Figure 1. 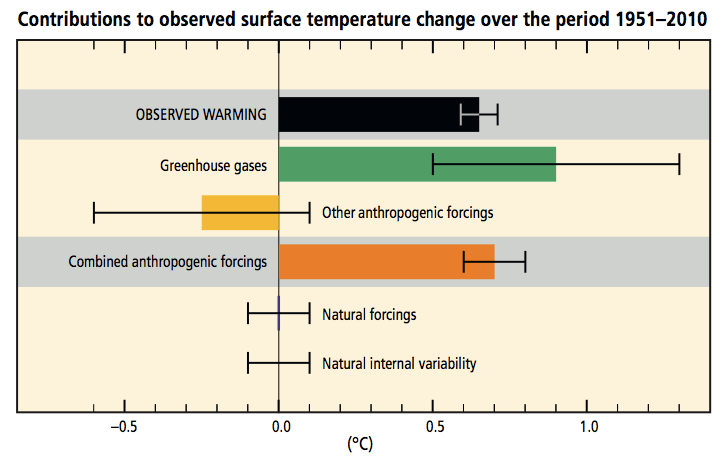 IPCC attribution of warming. AR5 SPM. If the IPCC hypothesis was correct, the warming rate should increase (accelerate) if CO2 is increasing rapidly. The warming rate can only decrease (decelerate) if CO2 is increasing more slowly and can only turn into cooling (negative rate) if CO2 is decreasing. But the hypothesis doesn’t fit the observations. 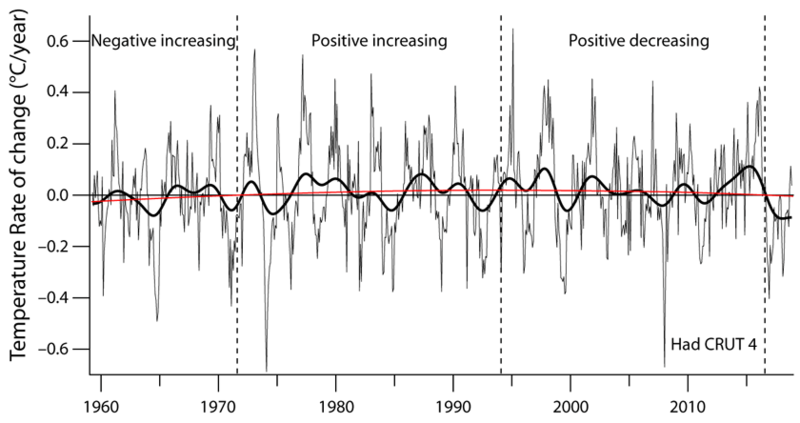 The HadCRUT 4 rate of temperature change (°C/year) is no longer increasing. In fact, it stopped increasing ~1994 and has been decreasing since. 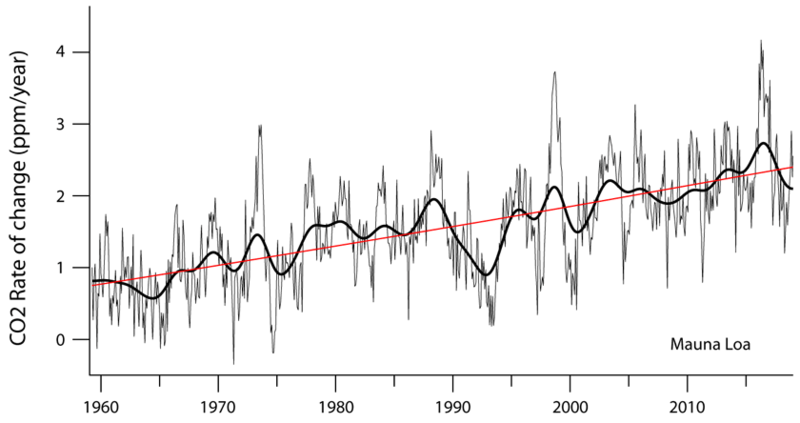 Global warming has been decelerating for over 20 years despite CO2 levels increasing at the same rapid rate. Figure 3. HadCRUT 4 rate of temperature change (°C/year). Thin line, 12-month rate of change. Thick line, gaussian smoothing. 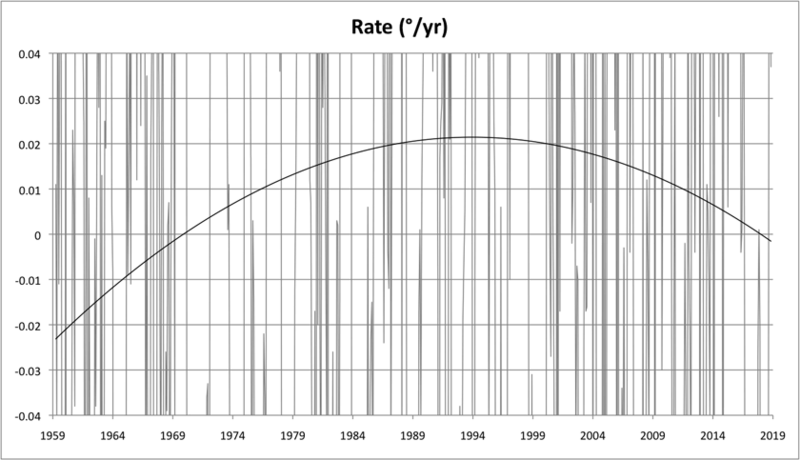 Red line, 2nd order polynomial least-squares fit to the yearly increase. Since 2017, the rate of temperature change has become negative. The global warming deceleration since 1994, and cooling since 2017 are incompatible with the hypothesis that the increase in CO2 is driving global warming. 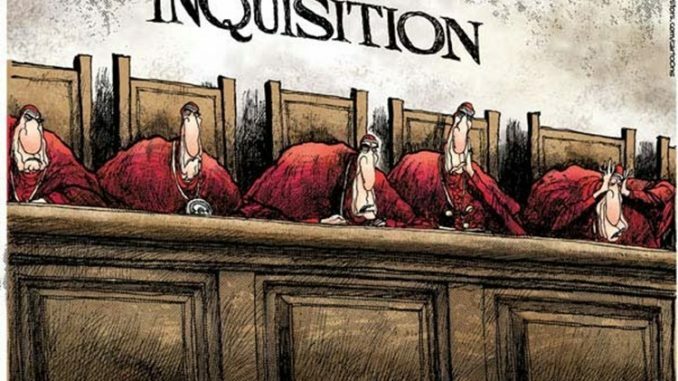 Other factors must be more important than CO2. The Mauna Loa CO2 data can be downloaded here and the HadCRUT 4 global temperature data can be downloaded here.